Here is the brand new and much anticipated single from Jason Aldean. 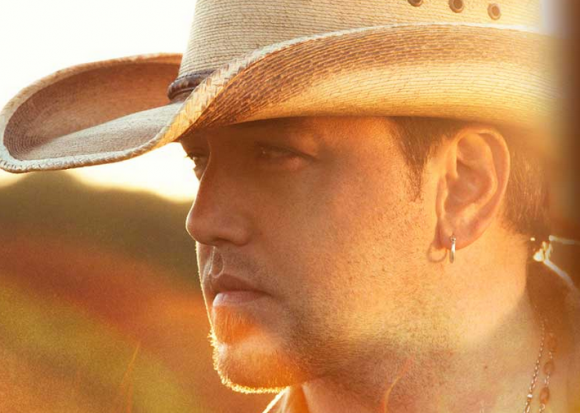 Fans have been waiting for the new single by Jason Aldean. His singles have been racing up the charts the last few years so he’s had to release a handful of singles off each of the last couple records. But he’s back and ready with some new music. This is the first single and the album should follow later this fall. Check it out. It’s familiar, but with a little something different for the fans. There ain’t no doubt what this song is about. The passion is on as Jason sings about a night between two lovers. They’re the only thing in the world to each other. There aren’t any thoughts other than the way they’re making each other feel. You still have the classic country lyrics like playing guitar and singing. You have the mention of Jack Daniels, but you also have a few words that you don’t really hear often in country music like “naked”. By this point we’ve had just about every kind of song possible from Jason Aldean. We’ve had a couple romantic love songs in the past, but this one goes to another level. Jason is digging down into the influences of Soul, R&B with a little bit of Rock and Hip Hop as well. But we’ve had country songs like this before. There have been plenty of sensual songs throughout the years. This one should do well on the charts. I’m sure it’s something Jason Aldean fans and all country fans are going to like.